Direct coated acrylic foam tape is designed to aid in the construction of glass partition walls. Use acrylic foam tape for edge-to-edge bonding, corner attachment and T-Block attachments. Install glass or laminated wood panels to aluminum frames or bond H-channels between glass partition wall panels. LAMATEK converts very high bond partition tape into exact width rolls or extra large spools for high volume production. We can also supply pre-cut strips to your exact length for retail or inclusion in a kit. Glass partition wall tape is available in clear or black. Acrylic foam tape compensates for differences in the materials and thermal expansion. 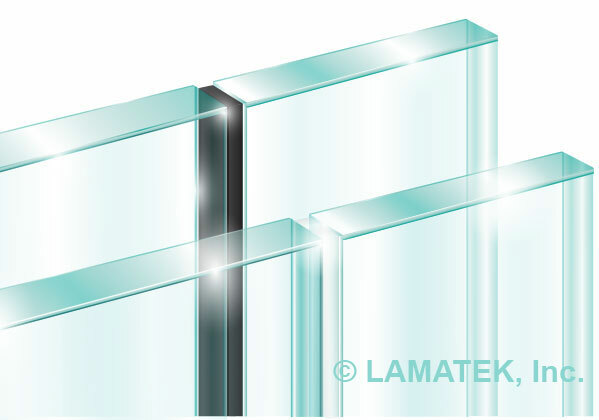 Clear acrylic tape resists aging and yellowing for a seamless appearance on glass partitions. High bond partition wall tape is flexible and conformable, so it easily accommodates thermal expansion and contraction caused by temperature changes. This special tape also compensates for irregularities and uneven surfaces of two bonded materials. Our double sided, transparent glass partition tape is optically clear so it provides an attractive, invisible bond between glass partition walls. You’ll hardly even know it’s there! Self-adhesive, high performance tape is easy to apply and doesn’t require any messy clean-up or additional tools. Acrylic foam tape saves time and labor over traditional tools due to its easy peel and stick application. And unlike most liquid adhesives, our high bond partition wall tape has no offensive odor. Silicone sealants tend to deform when partition walls are pushed together, which creates lumpy, unattractive seam that usually needs to be redone. However, SilverTape acrylic foam tape gets it right the first time, leaving your partition walls looking flawless for years.